After a mega snore last night I packed and went along to breakfast. Great spread and uber friendly folks. How can some folks make running a hotel look so easy? Whilst others make it seem so hard. The harvesting is now in it’s closing days but I did stop to take some pics of this obviously new New Holland Combine CX8070 in action (Yours for £155,000). 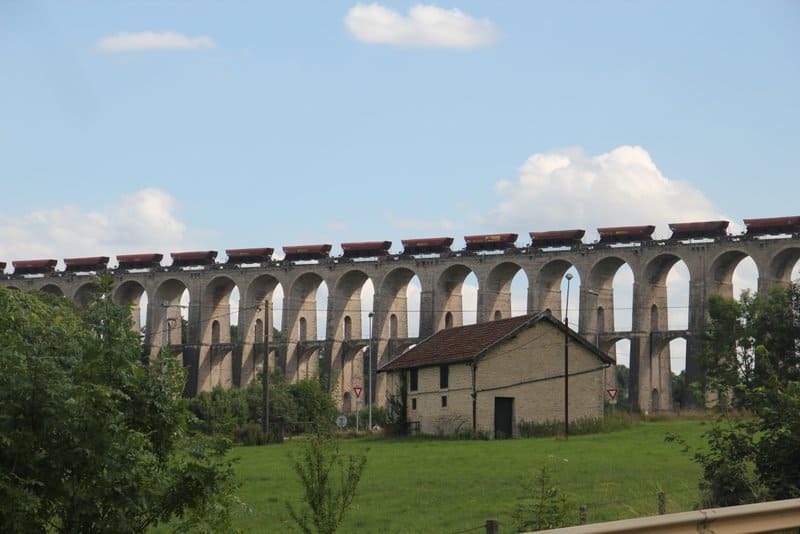 In a moment of serendipity I took a wrong turn coming into Chaumont and stumbled upon the most magnificent railway viaduct ever, built in 1857. 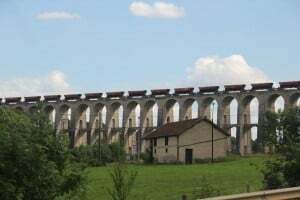 It’s twice the length of the Ribblesdale viaduct built in 1874 and 20 metres higher. And to cap it all a slow moving goods train was crossing 🙂 It also has a most gorgeous pedestrian crossing half way up. Sally has been digging around in my archives and discovered that exactly 4 years ago I had ridden the 647 miles to Dole in only 8 days this time in the 9 days I’ve been riding I’ve only done 551 miles 🙁 The big difference is THE WRETCHED PANNIERS! 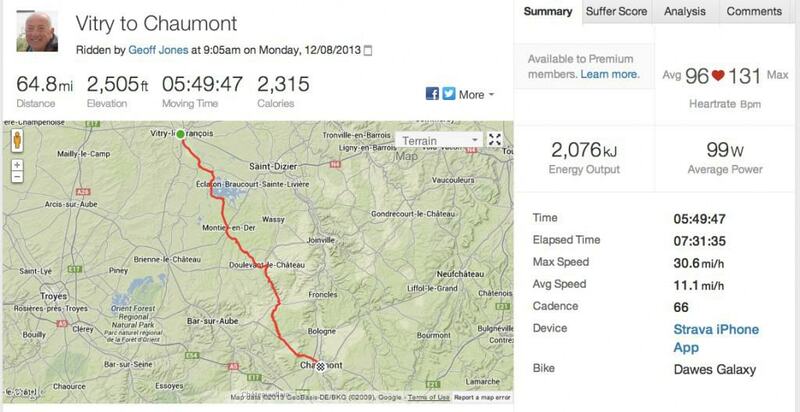 Here is the Strava for today.